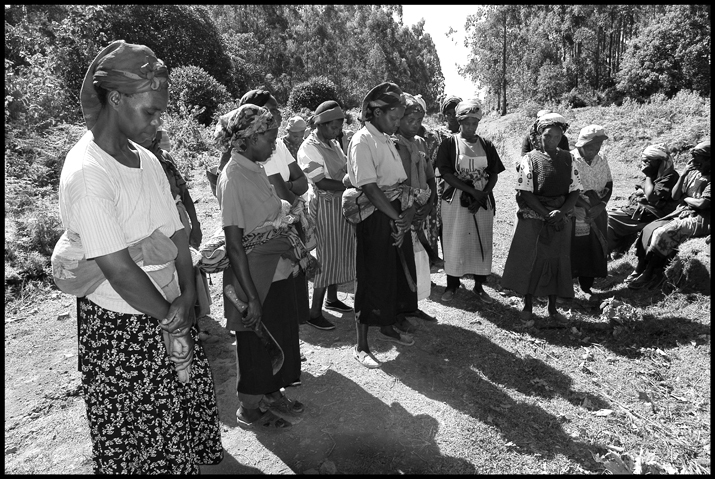 Home / Women of Mount Kenya | Kenya / Women pray before they enter the forest to collect firewood. Women enter the forest to collect their firewood. Women pray before they enter the forest to collect firewood. Caption: Women pray before they walk into the forest to collect firewood.